Save up to Rs. 4,000 with Amazon pay balance offers. Earn cashback on load balance, utility payments, online shopping and more. Amazon Pay balance is a seamless option to shop online, mobile recharge, utility payments and more. Amazon Pay balance offers help you save on every transaction from mobile recharge, bill payment, online food, movie tickets, to medicines etc. You earn cashback on load balance as well that means more money than you add to your wallet. Also, check Amazon Pay Recharge Offers to win up to Rs. 300 on prepaid mobile recharge this month. Add money to your pay balance account and earn cashback. When you add money, you earn cash back with the load balance offers on Amazon. Normally, Amazon offers 10% cashback on add money during the offer period. The user has to add a minimum of Rs. 1000 to his Amazon Pay balance account. Amazon Pay Balance load offer is introduced around the year on the occasion of festive sales. Recently, Amazon rolled out this feature where customers can add money at doorsteps. To add Amazon pay balance at doorstep you need to select COD for your purchase. At the time of product delivery, ask the delivery agent to add money to your pay balance account. Handover the cash and confirm the added money on your app. The cashback will be credited in 7-10 working days. You can use pay balance on different sites across categories such as travel, food, medicine, entertainment, and gift cards. In the food category, you get Swiggy, Faasos, Freshmenu, and InnerChef. In the travel category, you get redbus and Abhibus. You also have sites like BookMyShow, Haptik, Housejoy, and Urban Ladder to make use of your Pay Balance. You can also use pay balance at different merchant sites and earn cashback on your transaction. This mode of payment is available on sites across different categories. Save on your movie tickets booking with Amazon Pay Balance offer. While booking movie tickets on BookMyShow use Pay balance to get 20% cashback. Amazon Pay Swiggy offer is one of the most popular for food delivery. You can earn cashback on your every food order online. New cashback offers are introduced each month. The minimum transaction amount and cashback amount will vary each month. This month you can avail Amazon pay Balance offer on Swiggy ten times to earn flat Rs. 30 cashback on minimum transaction of Rs. 99. Amazon comes with regular quiz contests in which users have to answer simple questions and stand a chance to win exciting prizes including Amazon Pay balance. To participate in Amazon Quiz today you need the latest version of its mobile app. The winners to the quiz are selected on a lucky draw. 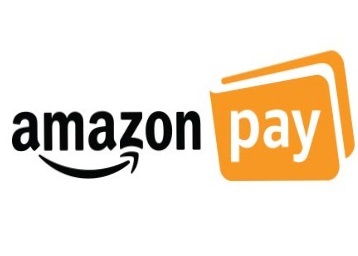 At this time, it is not possible to transfer funds from Amazon Pay Balance to a bank account or a different amazon account. The change in guidelines of e-wallet doesn’t allow users to transfer the balance to a bank account. However, you can use Pay balance to purchase gift cards of different sites. The new payment method allows users to pay via EMIs using their debit cards. Amazon Pay EMI allows users to make payment in 3 to 12 months. It is available for select customers after completion of a two-step registration process. the payment mode is introduced for high-value purchases. Get flat Rs. 20 cashback with Amazon Pay DTH recharge offer. Minimum transaction of Rs. 150. Applicable on the first recharge of the month. Amazon comes with new cashback offers on DTH recharge every month. The cashback amount and minimum recharge amount vary each month. DTH recharge is available on Amazon app as well as website, unlike bill payments which are applicable only on the app. The online retailer recently introduced this new feature for its mobile app users. You need to link your bank account on the Amazon app to start using Amazon Pay UPI. This new feature further makes your transactions hassle-free. With the launch offer, Amazon is providing 25% cashback on Amazon pay UPI transaction of users. Amazon pay UPI offer is applicable once per user on the first transaction. The validity of gift cards that you receive as cashback on different transactions is one year from the date of issuance. The validity of Gift cards is visible in the pay balance summary. You can check your pay balance validity by logging in to your account on amazon website or mobile app. So you can avail the different Amazon pay balance offers for the month and save up to Rs. 4,000. Amazon keeps introducing cashback offers for its mobile wallet. The cashback offers on merchant sites like Swiggy, BookMyShow, Redbus, etc are introduced every month. In addition to that Amazon Recharge, bill payments, and DTH recharge offers also come every month. While the Amazon Pay Add balance offer is introduced on the occasion of festival sales. Apart from a fast and secure mode of payment, Amazon pay balance is also great for savings with the amazing cashback offers.